I say this every week I’m pretty sure, but the past four days before spring break have been craaazzzyyy busy. Last week, I started a new job, had 3 tests and some disciplinary stuff to deal with. This week, I had a huge Economics test, cooked a lot over the weekend (on the blog next week) and worked two jobs on top of other homework. It’s a relief to be home catching up on emails, blogs, etc. and have no worries until after Easter. Unfortunately, the weather isn’t cooperating with my mood. Spring is officially here and temps are still in the 30s?! Not OK. I’m ignoring the chill though with brightly painted nails, spring clothes and Easter preparation. So in love with T Swift’s new music video, 22. Can I just be her please? I want to wear a fedora, eat cake, dance with friends and lounge on the beach at sunset! Checkout the impeccably dressed cast of Mad Men at the season 6 premiere. I die for Kiernan Shipka. For a quick pick me up, add fresh flowers to your table and invite friends over for brunch. 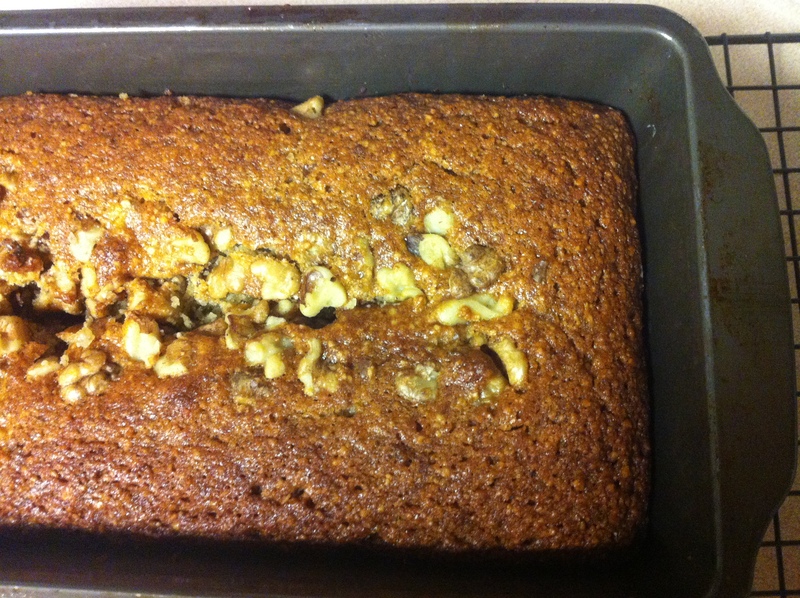 This yummy, easy banana bread recipe is the perfect way to start off the weekend.